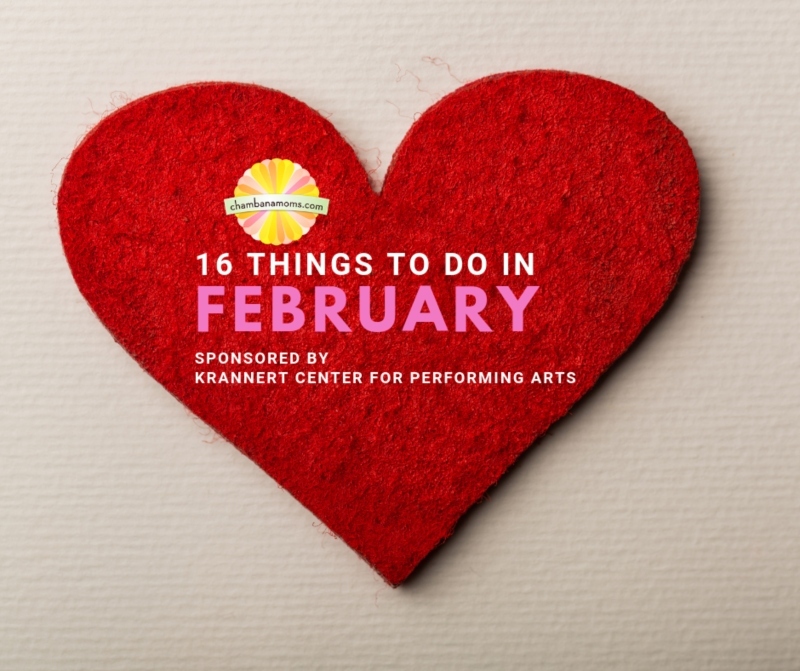 Thanks to the Krannert Center for the Performing Arts for sponsoring 16 Things to Do in Champaign-Urbana in February. 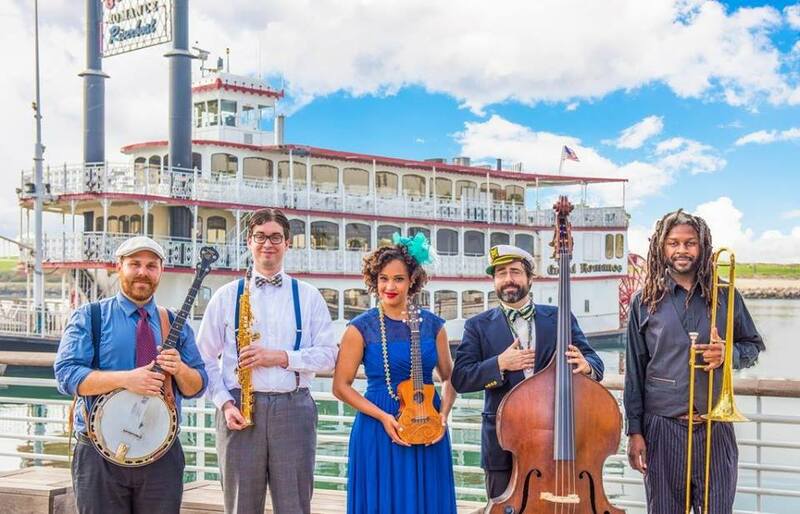 Playful lyrics, joyful grooves, and the lively influences of Caribbean and New Orleans culture come together in the toe-tapping music of celebrated songwriter, bandleader, and music educator Jazzy Ash, who will perform a FREE concert at Krannert Center for the Performing Arts on Feb. 16. She and her five-member troupe of musical adventurers, the Leaping Lizards, will traverse a rollicking musical landscape featuring ukulele, banjo, guitar, accordion, fiddle, bass, trombone, saxophone, washboard, and percussion in a Saturday morning showcase of what Sirius XM Radio’s Kids Place Live has dubbed its “favorite new musical discovery.” Be sure to arrive early at 9 a.m. to enjoy craft activities! Unfortunately, the ridiculously cold weather this week robbed us of a few opportunities to partake in the Champaign County Area Restaurant Week, which continues through Feb. 3. So don’t delay. Take advantage of some special menus at your favorite eateries. Laugh out loud as nationally-known family entertainer Chris Fascione brings children’s stories to life with high-spirited energy and humor in a free show at Champaign Public Library. Celebrate the Year of the Pig with crafts, music, and books! For more Chinese New Year and Lunar New Year Celebrations, click here. Pack your bag for a trip to India! The Get to Know India series at Spurlock Museum is part of the NEA Big Read community reading program. For more on the NEA Big Read community reading program in Champaign-Urbana, click here. Yes, you read that correctly: FREE. To celebrate Black History Month, AMC Champaign 13 is offering free showings of the popular Marvel movie. Showtimes are 4 p.m. and 7 p.m. every day. Former Illini basketball great Kenny Battle will visit with fans at Gameday Spirit from 10 a.m-noon. Get your new Battle retro T-shirt and his bobblehead. The Illini women will attempt to break its attendance record with a special appearance by 2008 Olympic silver medalist Samantha Peszek (6-7 p.m.) and a ninja warrior obstacle course for fans after the meet. The Illini men’s and women’s teams, annually among the best in the country, will compete Friday and Saturday in a rollicking atmosphere at the Activities and Recreation Center. Click here for schedule and details. The Chambanamoms winter playdate series, presented by Christie Clinic, visits the State Farm Center for the women’s game against Wisconsin. Celebrate National Girls and Women in Sports Day. General admission tickets are $3 at the door. If you’ve never been to one of the free family concerts at Krannert Center, don’t miss this chance. Plenty of dancing and fun for all. See above for details. Winter is a great time at Prairie Fruits Farm as the does are in the middle of their gestation period and they love to be doted on! Enjoy a cup of hot chocolate or specialty coffee as you meet the moms of the babies who will be born this spring. It’s Presidents Day, so celebrate the legacy of two of our nation’s most beloved presidents — George Washington and Abraham Lincoln — at Lake of the Woods Forest Preserve in Mahomet. Make some presidential crafts while watching videos and singing songs that teach about Presidents Day. Make a fun snack to fill out the celebration! When school’s out, what kid doesn’t love to go swimming? Especially in winter. Make sure to check out pricing and hours here. A brand-new One Act Edition based on the Disney Channel original movie is being performed for the first time in the Champaign area. By fifth- through 10th-graders at the Virginia Theatre. This program is a special opportunity for kids to explore Busey Woods at night in search of wild owls. Start with a short presentation at Anita Purves Nature Center, then hit the trails! Come dressed as your favorite superhero for a night of games, music and snacks, with a special gift for each superhero. As Savoy Rec Center. Register by Feb. 18.